A Chicago journalist finds himself in a small Texas town on Christmas eve. 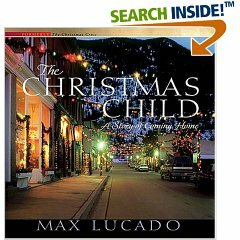 Lonely and alone, he encounters old faces and new facts…a hand carved manger, a father's guilt, a young girl's faith. The trip into the past holds his key to the future, and a scarlet cross shows him the way home. The spirit of the season is spreading through the rustic seaside hamlet of Cape Light, as the residents prepare to celebrate the joy of the holidays. 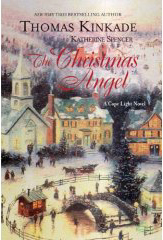 But town mayor Emily receives an unexpected and precious Christmas gift when she finds a baby girl tucked away in a decorative cradle set up outside the church, with a note begging whoever discovers the child to take care of her.